Of the many professions out there in the world, working as a chef is perhaps one of the most prestigious titles that an individual can hold. The art of cooking and gastronomy is something that is held by many cultures in high regard, and so to pursue a career in culinary art is considered as a valuable contribution to modern society. This is because chefs are not only responsible for feeding people on a daily basis, but a large portion of their job is to educate passionate foodies, sophisticated gastronomes, and casual diners alike on the importance of eating perfectly cooked dishes prepared using meticulous methods. Indeed, there is an atavistic yet progressive allure about being a professional chef that it’s no wonder so many individuals who grew up learning how to cook in their own households often end up transforming a necessary life skill into a full-fledged personal career. Another reason why a lot of people aspire to become chefs is that its one of the few career paths that allow people to exert a high level of creative freedom to their work. 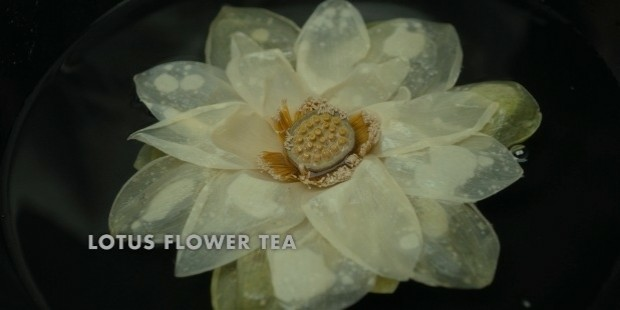 Similar to how fashion designers of the most esteemed luxury brands create wearable works of art within their hallowed ateliers, the same principle applies to chefs in that the kitchens of the best fine dining restaurants are their sacred domains and the stacks of empty crockeries are the canvases with which they place their beautiful and edible creations for diners to savor and enjoy. Of course, being a chef is a job that isn’t meant for everyone because despite the considerable degree of imagination it allows for those who are serious about the craft, it also presents intimidating challenges and pressures that could easily break individuals with weak resolves. Make no mistake: the culinary world is not for the faint of heart, mind, and spirit, and rewards those who possess a holistic strength necessary to survive this realm. But aspiring culinary artists can take comfort in the fact that within the rarefied world of professional chefs, there are so many diverse personalities to admire considering the plethora of international cuisines are out there to sample. Sure, there may be world-renowned guides and publications out there frequently releasing lists of the best chefs and restaurants on an annual basis, but such best-of lists aren’t the be-all and end-all of what the culinary world has to offer for the average diner. In fact, there are plenty of chefs out there whose success isn’t measured by how many Michelin stars their restaurants have received or whether their establishment has made the pages of popular food magazines or blogs. For these renowned gastronomic stars, what matters to them is about sharing their passions and stories through the food they cook, and in effect, such genuine dedication to their craft is the fundamental cornerstone of their success in the industry. As such, this is truly a comforting notion for many individuals who dream of a successful culinary career. 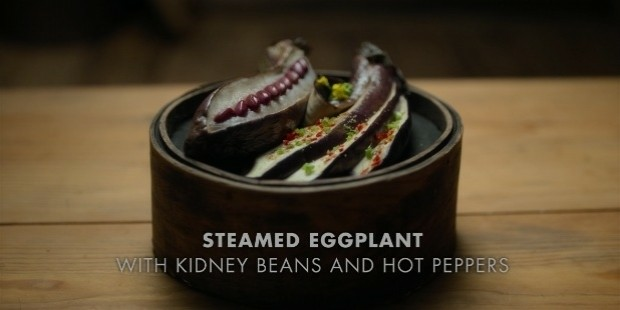 Stalwart food lovers who are determined to forge their own paths in the creative yet cutthroat universe of culinary art would do well to take a closer look at Netflix’s critically-acclaimed documentary series that focuses on the lives and careers of some of the best chefs scattered in different continents and countries all over the world. 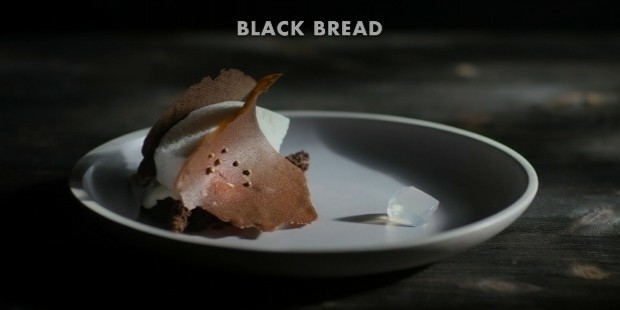 Aptly titled as Chef’s Table (pictured above), the series is a mesmerizing anthology where each episode highlights a different chef specializing in a distinctive regional cuisine and features prominent segments showcasing the chef hard at work in the kitchen and producing scrumptious plates or bowls of food. 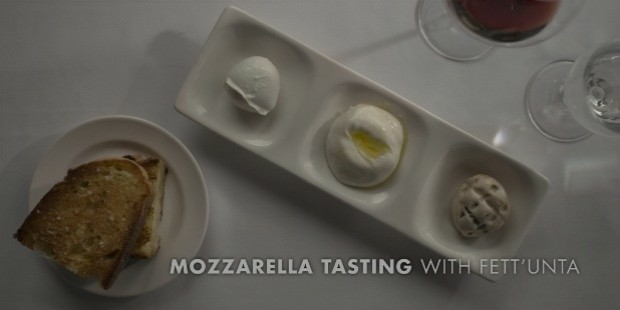 Previous subjects of the show’s first two seasons have included superstar luminaries in fine dining such as Massimo Bottura of Osteria Francescana in Italy, Alex Atala of D.O.M. 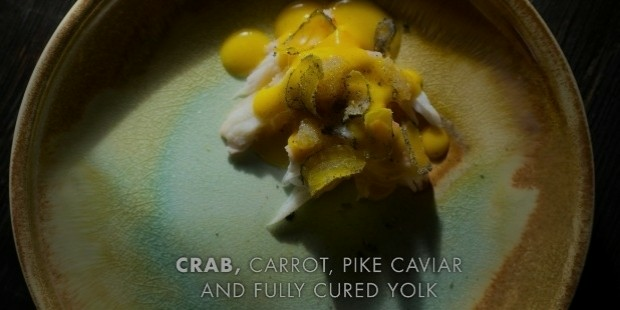 in Brazil (pictured below), and Magnus Nilsson of Fäviken in Sweden. 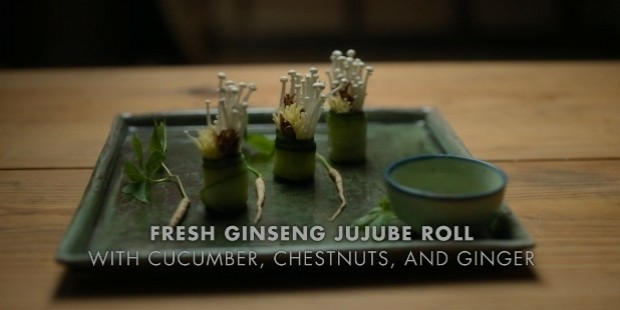 On the show’s third season, Netflix is shining a spotlight on a brand new batch of chefs whose work has come to redefine what it means to reconcile cooking and passion in the same context. 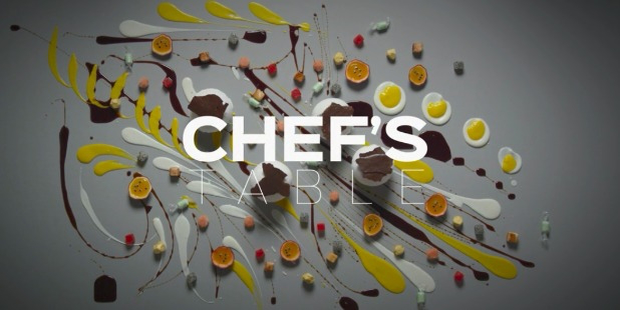 Season three of Chef’s Table follows the anthology template of the previous seasons by featuring six immersive and intimate episodes whose runtime varies from forty-six minutes at its shortest to fifty-nine minutes at its longest. 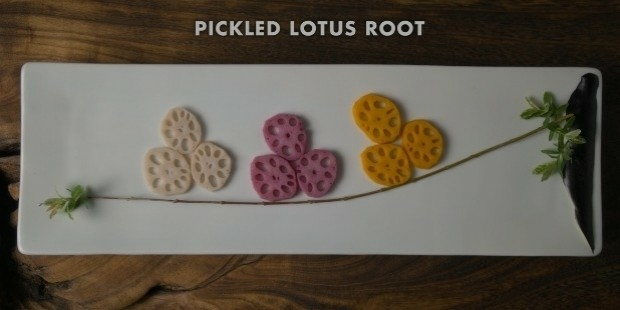 This article will cover the first half of the latest season which introduces three unique chefs of varying backgrounds. 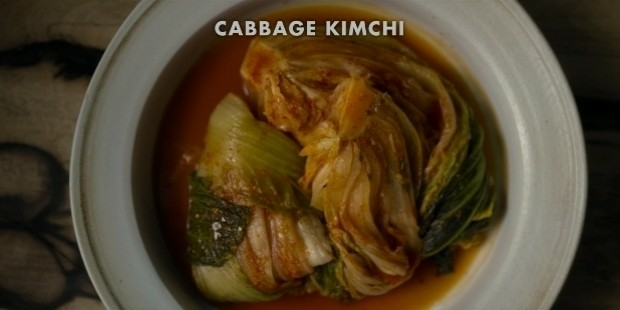 There’s a female Buddhist monk whose simplicity and minimalist take on Korean cuisine is attracting rave reviews from Western diners; there’s a young and burly chef who is eager to not only reintroduce Russian cuisine to his homeland, but to elevate it and put it on par with other top international cuisines; and there’s the highly beloved food personality whose powerful obsession with artisanal baking and Italian cuisine has anointed her into the upper echelons of celebrity American chefs. 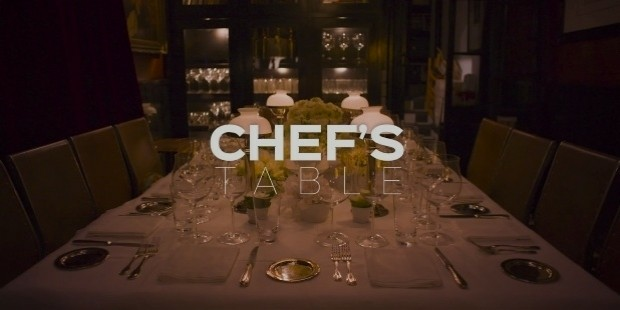 Get to know more about these three culinary stars below and watch this space for the other talented chefs featured on the third season of Chef’s Table. 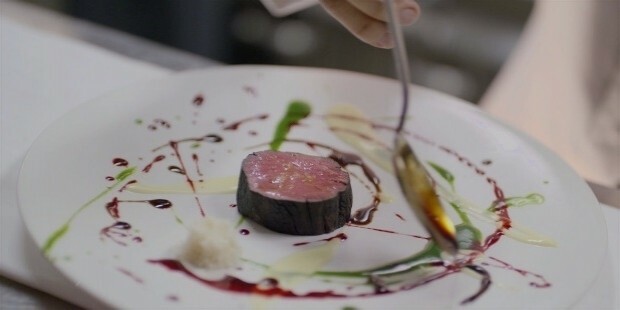 The third season of Chef’s Table opens with a person who—at first glance—might not be the average person’s preconceived image of a successful chef. 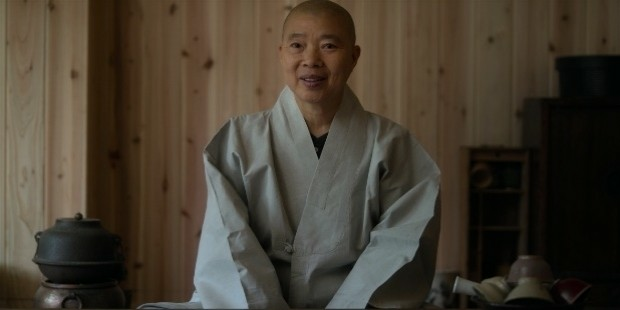 In fact, Jeong Kwan herself (pictured below) is not a chef in the professional parlance of the term and nor does she consider herself to be one; she is actually an elderly Buddhist nun living in a temple by the mountains who just happens to know how to cook exceptional food for her fellow Buddhist monks and nuns. And yet despite her curious sectarian background, Kwan has nevertheless attracted high praise from celebrity chefs like Eric Ripert or food critics such as Jeff Gordinier from The New York Times because of the way she approaches cooking as an extension of her spiritual practice. 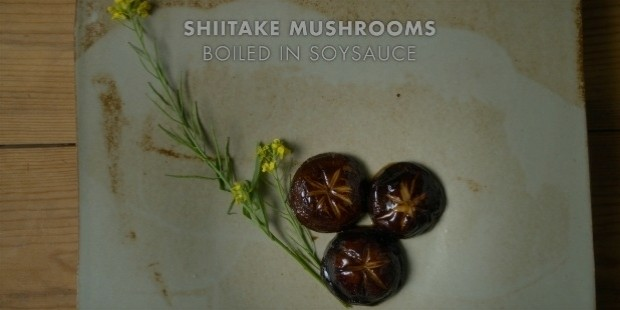 This unique perspective is what instantly separates Kwan from professionally trained chefs because she completely strips away the pretension and ego that often comes when cooking fine dining cuisine. Furthermore, the simplicity and minimalism she does to her all-vegan Korean temple food is nothing short of enlightening, if the praise of her Western culinary acolytes are to be believed. 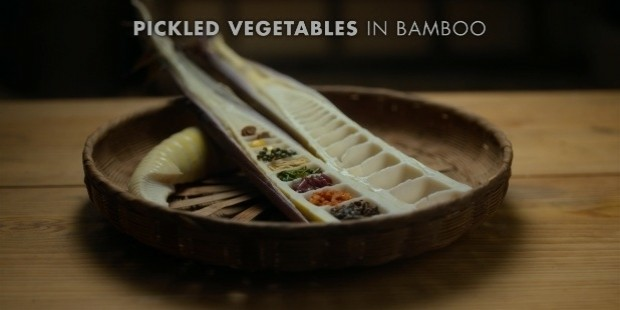 In her hands, humble vegetables and ingredients are transformed into unassuming yet deeply satisfying dishes which validates her role in the temple as the chief provider of everyday sustenance. Kwan reigns supreme in her kitchen but executes her work with an aura of serenity that the average chef would deeply envy. Kwan resides at the Baekyangsa Temple, a quiet monastery of Korean Buddhism surrounded by verdant forests of the Naejangsan National Park, located approximately one-hundred-and-sixty-nine miles south of South Korea’s capital city, Seoul. While the temple itself is open to visitors, it does not have a formal restaurant where people can sample Kwan’s cooking. 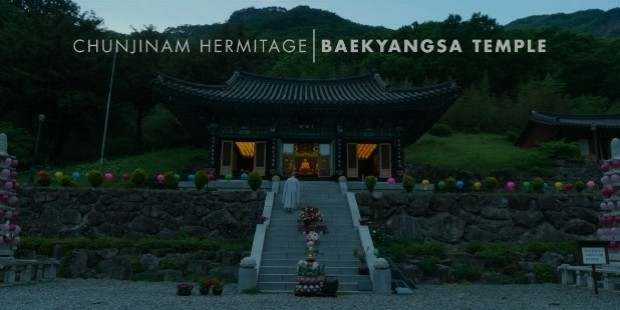 Thus, the temple grounds feature a section known as the Chunjinam Hermitage (pictured above) where both permanent residents of the temple as well as passing guests are able to partake in the simple yet delicious meals served daily by Kwan. 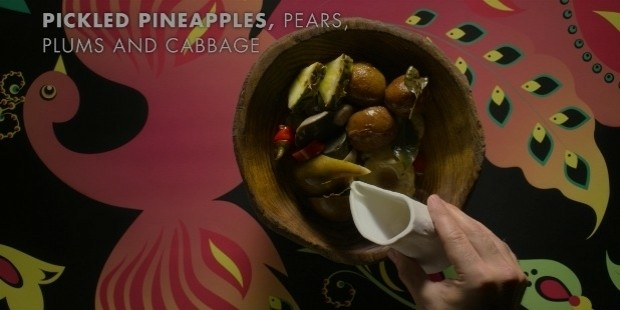 In fact, most of the herbs and produce Kwan frequently uses for her dishes are organically grown in the temple’s gardens. One might immediately feel a sense of peace and balance upon entry into this sacred space, and that same feeling is applied to the myriad of dishes Kwan cooks. She is known for eschewing certain aromatic ingredients like onions and garlic into her food so that her dishes will achieve a state of calmness. Kwan is also noted for her enthusiastic love of soy sauce (pictured above), as she ascribes to the belief that the wisdom of her ancestors is present in the savory liquid seasoning and therefore allows her to gain knowledge of the past, present, and future. For her, the food she cooks is a direct reflection of the spiritual philosophies she has learned over the years she has spent living in the temple. Despite her lack of formal culinary training, Kwan has emerged to become an international gastronomic star in her own right, and one that is rightfully deserved given her authentic level of humility and self-restraint. 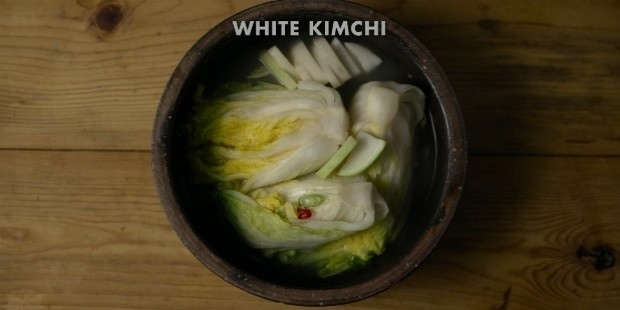 Apart from her monastic duties at the temple, Kwan also does cooking lectures for the Department of Culinary Arts at Jeonju University in Seoul where she occasionally does practical demonstrations of her cooking techniques to young students eager to learn the secrets of cooking Korean cuisine the way Kwan does it. Kwan values her teaching position at the university because she wants her wisdom and knowledge about food and cooking to be sustained and to inspire a new generation who is interested in changing the world through food cooked with a spiritual approach. Check out the photo gallery below for a sample of the dishes that Jeong Kwan routinely prepares at the Chunjinam Hermitage. 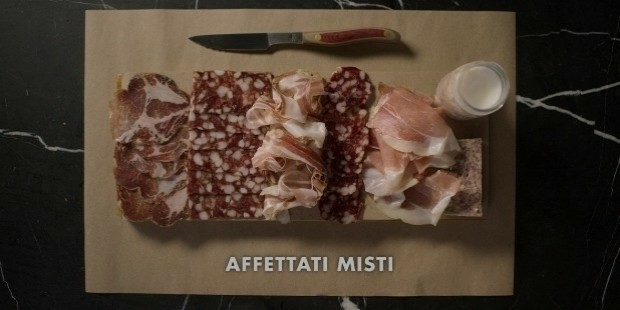 From a culinary perspective, Europe is primarily known for its powerhouse cuisines originating in France and Italy—the two aforementioned countries being the cornerstones of modern fine dining that most people know today. But if chef Vladimir Mukhin (pictured below) would have his way, then Russian cuisine would join the ranks of French and Italian cooking as one of the finest gastronomic profiles that Europe has to offer to the sophisticated palates of foodies everywhere. Indeed, Mukhin is so committed to the cause that he is no doubt the pre-eminent champion of Russian cuisine and modernizing it for the twenty-first century. 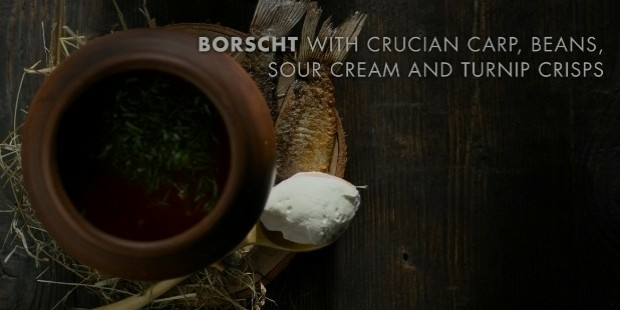 With chef Mukhin at the helm of this progressive movement, Russian cuisine will no longer be stereotyped in terms of classic dishes such as borscht and alcoholic drinks defined by the presence of vodka. 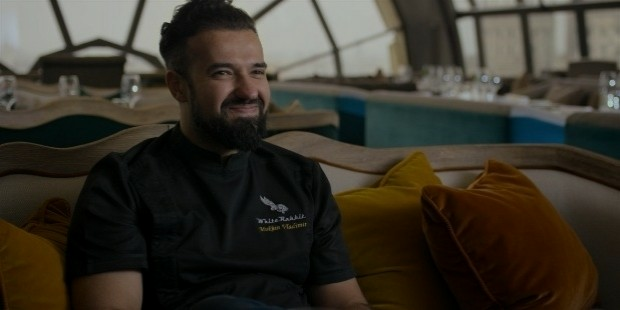 Mukhin is the executive chef of White Rabbit (pictured below), a popular fine dining penthouse restaurant atop the Smolenskiy Passage featuring eccentric interiors with a distinctive lapine theme and a marvelous glass ceiling that offers spectacular panoramic views of the Moscow skyline. 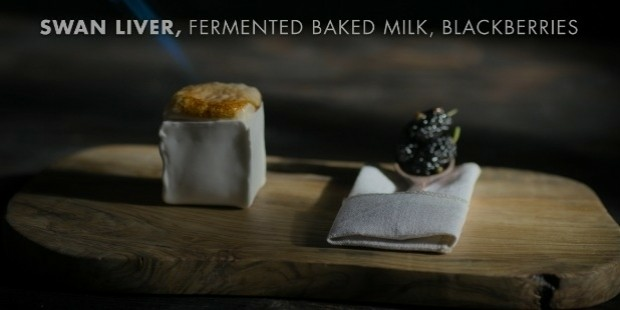 The culinary maverick headlining White Rabbit also happens to a fifth-generation chef coming from a family dynasty of Russian cooks, thus cementing Mukhin’s provenance in the world of gastronomy apart from his formal training working in other European restaurants outside of his motherland during his younger days. Most Russians today aren’t even aware of the grand cultural heritage they possessed in terms of the culinary arts, especially since various socio-political upheavals in the past overshadowed Russia’s gastronomic traditions. However, Mukhin aims to change that by restoring those glory days and bringing it into a totally futuristic context. But this wasn’t always the case in the early years of Mukhin’s career, as the chef frequently rebelled against his own father, who adhered to the creation of traditional Russian staples. 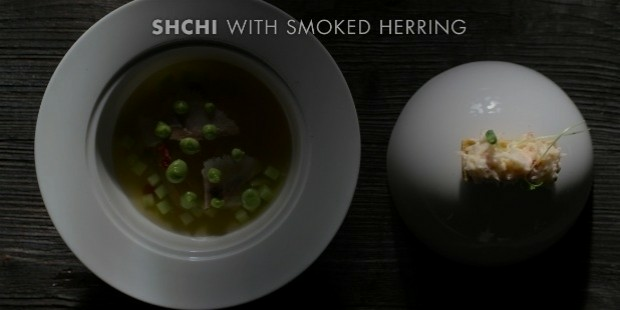 Mukhin eventually struck out on his own by venturing to Moscow and then later on to Paris, where he would be exposed to more modern cooking techniques previously unknown to his culinary roots established in his hometown of Essentuki. Mukhin soon realized during his Parisian tenure that Russian cuisine could actually exist and thrive within the parameters of modern cooking. This was the paradigm shift Mukhin experienced that ultimately brought him to his current crusade of highlighting Russian food by both reviving and reinventing it for diners looking for alternative options in the global culinary scene. 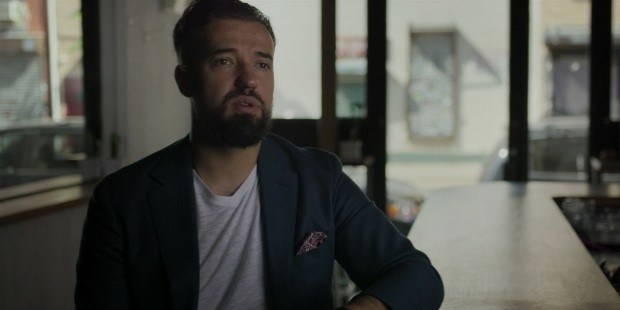 Mukhin’s realization of applying modern techniques to traditional Russian fare eventually came into fruition when he opened White Rabbit in partnership with restaurateur, Boris Zarkov. 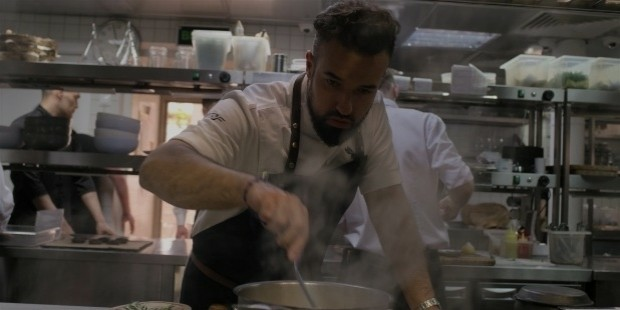 Furthermore, due to the current Russian laws banning the import of foreign goods and ingredients, Mukhin was already several steps ahead of the competition as he was using local ingredients for his food since the opening of his critically-acclaimed restaurant. Mukhin himself goes out of his way to ensure that his dining establishment only gets the finest products by making personal connections with farmers and food providers in far-flung Russian provinces. Everything he uses in his scrumptious dishes from milk, spices, and honey to vegetables, seafood, and land proteins are all locally sourced from various regions of Russia. In the busy kitchen of White Rabbit, Mukhin is a firm and dedicated leader to his cadre of line cooks as he frequently educates them on new recipes he has conceived and demonstrating the steps on how to perfectly execute such radical new dishes. 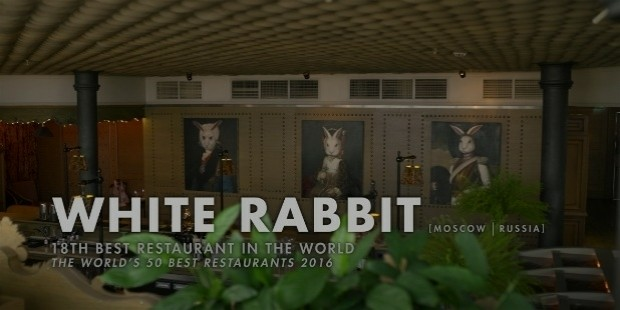 Since the momentous debut of White Rabbit, it has been hailed in local and international circles as a revolutionary hallmark of modern Russian cuisine, which is what Mukhin himself has strived to achieve. 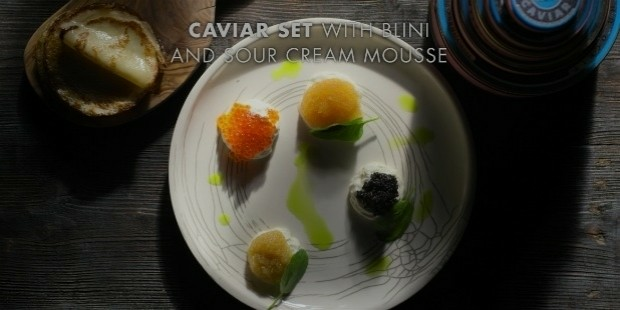 Critics have commented that Mukhin’s food exhibits a profound respect to the ingredients and traditions of Russian cooking, but presented in a thoroughly updated twist that can rival the meticulously plated dishes found in any French or Italian fine dining restaurant around the world. Furthermore, it is currently the only Russian restaurant to be featured on the prestigious list of The World’s 50 Best Restaurants, which is published annually by Restaurant Magazine based in the United Kingdom. 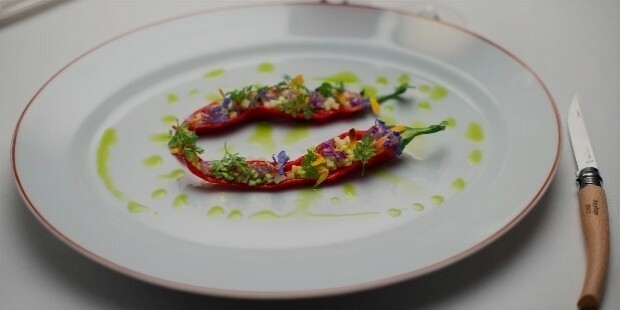 Take a look at the photo gallery below for a curated selection of the dishes that Vladimir Mukhin has featured on the menu of White Rabbit. The culinary landscape of the United States of America has produced some of the biggest names in the food industry, and of the many American gastronomic luminaries working today, chef Nancy Silverton (pictured below) is perhaps one of the most beloved and acclaimed even among her peers who are more successful and well-known that her. Indeed, Silverton could be best described as the “executive chef’s executive chef” because of the way she coaxes complex flavors out of simple ingredients in her deceptively simple yet utterly delicious dishes, which are heavily and directly influenced by Italian cuisine. Furthermore, Silverton possesses an obssessive tenacity inherent in her cooking process, whether she is trying to create a perfect loaf of bread to making sure that her pasta dishes always come out al dente. 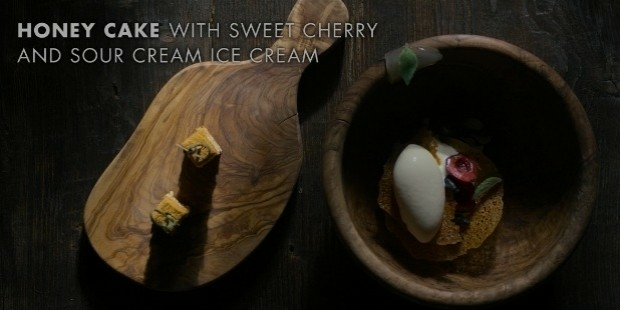 There’s absolutely no denying that Silverton’s level of culinary obsessiveness is primarily the reason why she has become the mainstream powerhouse that she is today. Silverton’s success story has its origins during her college years, when an infatuation with a handsome man introduced her to the magic of working in a kitchen. Her love of food during this period was significantly heightened as she subsequently decided to pursue a career in cooking. This decision would prove to be fateful in all the right ways given that she would soon cross paths with renowned international celebrity chef Wolfgang Puck, who handpicked Silverton to be his pastry chef at Spago, a restaurant chain of Puck’s whose flagship location is based in Los Angeles. It was also during this period where Silverton established her reputation for being a master baker, as she was largely responsible for creating the homemade breads and other baked goods that Spago served. 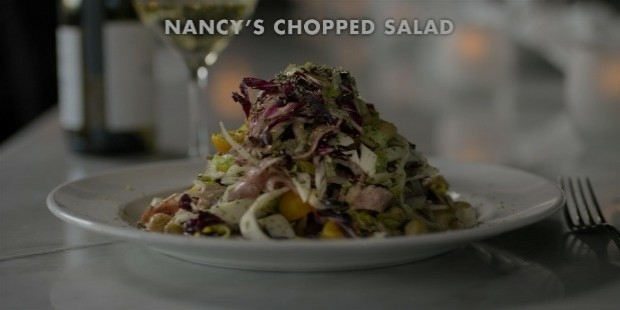 From her initial breakthrough with chef Wolfgang Puck in Spago, Silverton gradually moved on to open her first restaurant called Campanile during 1989 in partnership with her then-husband and fellow chef, Mark Peel. 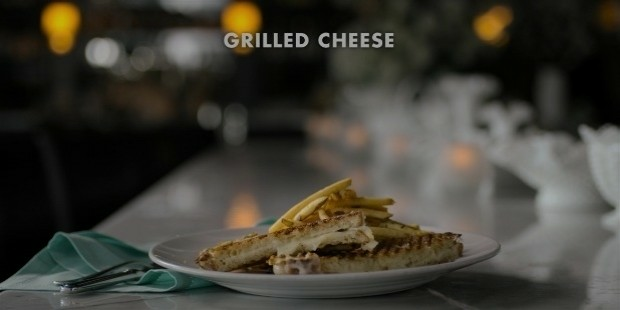 Campanile would prove to be another big feather on Silverton’s cap as food critics hailed her as a culinary cult icon, particularly when she spearheaded the tradition of the restaurant’s iconic grilled cheese sandwich nights. Silverton eventually expanded her food empire to include an establishment that focused primarily on her baking skills, which led to the opening of La Brea Bakery in the same year as Campanile. 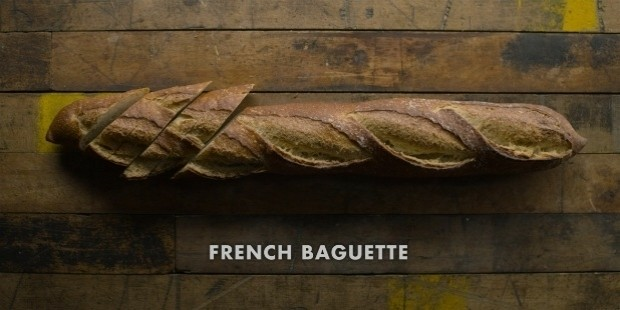 At the time, artisanal homemade breads were products that were only largely available in Europe, but Silverton decisively started a culinary trend across America where she encouraged foodies to buy freshly-baked handmade breads or even create their own breads at home using high-quality ingredients as opposed to those produced at industrial factories in mass quantities. But troubles within her marriage to Peel ultimately led Silverton to not only divorce her husband, but to leave Campanile and sell the La Brea Bakery concept. Despite her personal and professional struggles, Silverton emerged like a phoenix reborn when she rediscovered her love of food after a trip to Italy, which introduced her to the rustic yet mouthwatering attributes of Italian cuisine. 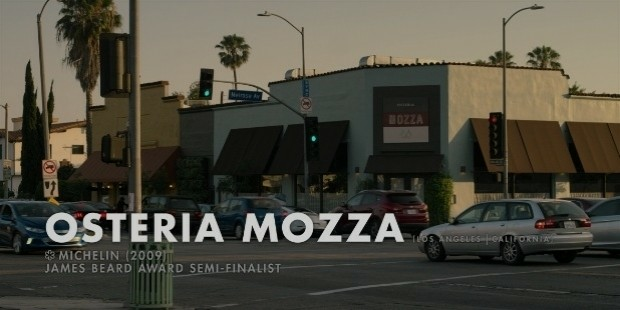 She eventually returned to the United States and opened a new restaurant inspired by her Italian trip called Osteria Mozza (pictured below), in collaboration with fellow chefs Mario Batali and Joseph Bastianich. 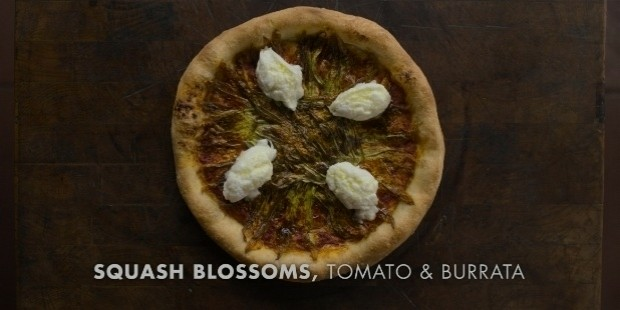 Silverton’s new restaurant leans heavily towards modern Italian cuisine, and allows her to experiment greatly with creative pizzas whose pizza doughs Silverton makes herself by hand. Another integral part of Silverton’s recent reinvention is her newfound love for mozzarella cheese, where she plays around with dishes offering imaginative and delicious variations on the ubiquitous Italian cheese. 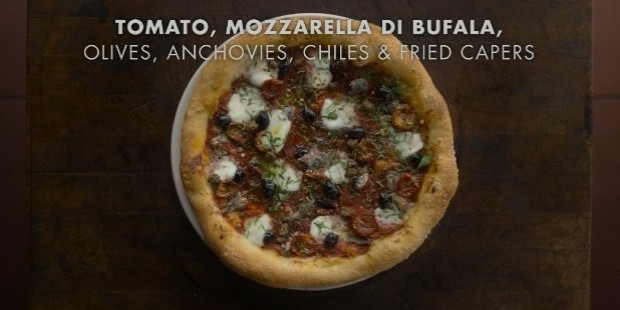 Backed by her existing talent for baking and cooking, Silverton soon opened spin-off restaurants from the original Osteria Mozza concept: Pizzeria Mozza where the specialty dishes are—of course—pizza, and Chi Spacca, where the establishment combines Silverton’s cheese obsession with that of her handcrafted breadmaking skills. 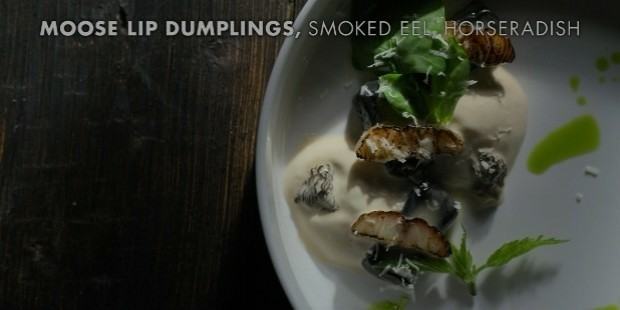 Naturally, the denizens of the Los Angeles food scene and beyond descended upon Silverton’s new dining hangouts and critics hailed it not just as an impressive comeback, but a natural evolution in her storied cooking career. Throughout the years, Silverton has amassed a massive following not just among her peers, but also with countless diners to whom she constantly credits her success. Her culinary empire has expanded not only to her group of restaurants, but also with her forays as an author, where her cookbooks on baking and main dishes have become national bestsellers. 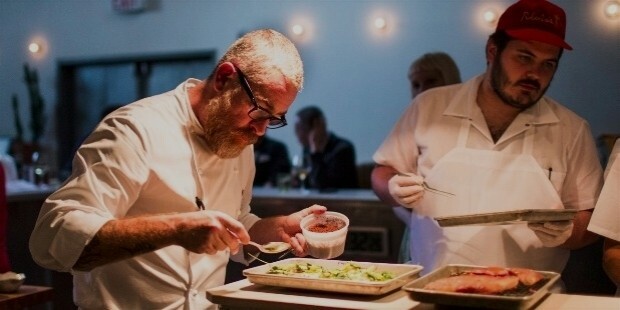 Silverton is also the recipient of the James Beard Foundation’s Outstanding Chef Award in 2014, which is essentially the Oscars of the culinary world. In 2015, Silverton launched a gelato brand named Nancy’s Fancy, which is a luxury gelato and sorbetto line currently featuring eleven exclusive flavors and sold in supermarkets across Southern California with future plans to expand the dessert brand across the United States. 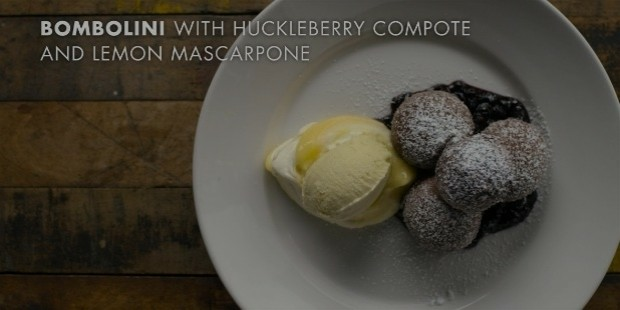 Take a moment to browse the photo gallery below featuring samples of various dishes that Nancy Silverton has done in Osteria Mozza and her other supplementary restaurant outlets.